Restaurants: No, but a complimentary continental breakfast offered daily in the lobby. Pool: Yes, one outdoor pool. Convention rooms: One meeting room. Standards room amenities: Air conditioning, alarm clock radio, remote-controlled cable TV, coffee maker, hair dryer, electronic door locks, iron and ironing board (requires guest driver's license to secure), telephone. Microwaves and refrigerators available for a nightly fee. Hotel amenities: Complimentary continental breakfast, laundry facilities, maid service, 24-hour front desk, free USA Today newspaper, vending machines, ice machines and wake-up call. 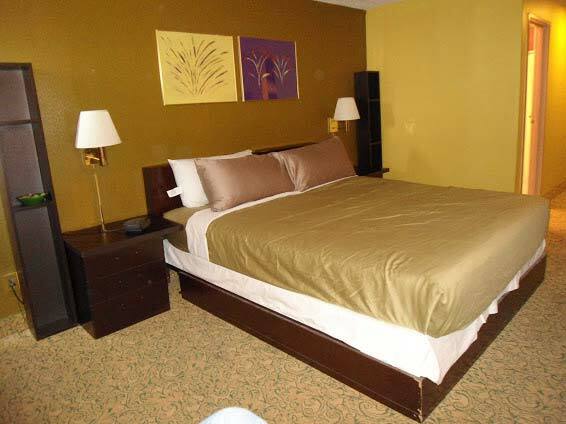 Clean and friendly service, comfortable rooms. Located about 1 mile from the Las Vegas strip. 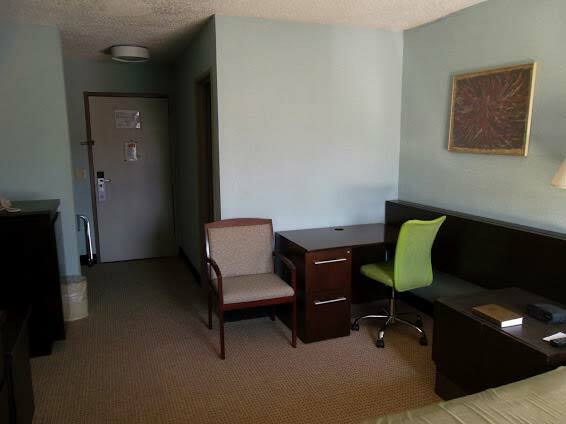 All rooms and suites have microwaves, small refrigerators, complimentary high-speed Internet access, and flat screen TVs. An outdoor pool, fitness equipment, and game room are available on site. 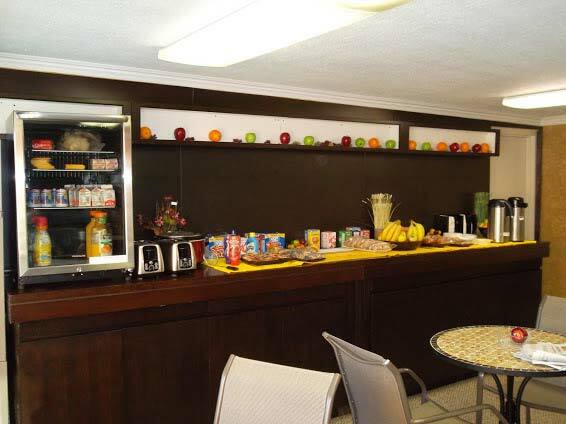 A full complimentary breakfast is provided each morning. What to expect: Located in the heart of the west strip entertainment area, the Claremont offers a relaxed, fun atmosphere for your Las Vegas get-away with friends or family. 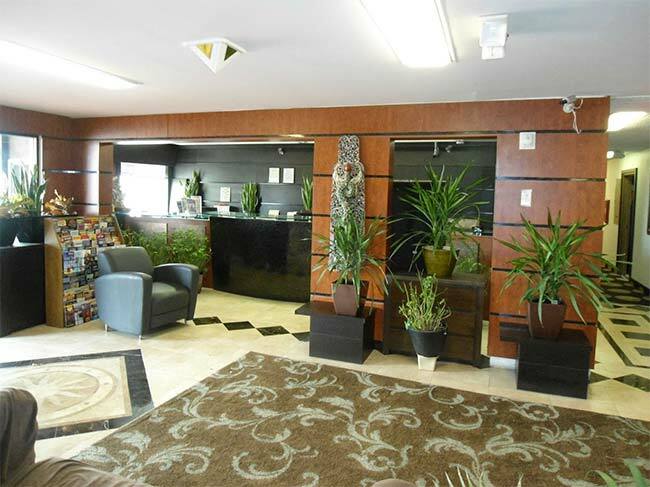 Enjoy an excellent choice of newly renovated smoking and non-smoking rooms and suites, with a sparkling outdoor pool and patio area hosted by the friendliest staff in Las Vegas. Spacious free parking for vehicles of all sizes, easily accessible by from Interstate 15 at the Sahara Avenue exit. Access to their patio and swimming pool is easy, and with lots of free parking, you have immediate access to your car. Park for free near your room. Transportation is available. The Claremont is located just minutes from the bus and strip trolley routes. The convention center is only 5 minutes away. Guests enjoy a free continental breakfast each morning, in-room coffee, in-room safe, in-room hairdryer, and Cable TV with HBO/CNN/ESPN. Amenity highlights: The Claremont offers a multitude of excellent services and facilities, including a wake up service, 24 hour front desk, free USA Today newspaper, lobby phone, cab phone, full security, free easy-access parking for buses and cars, boat and camper parking, laundry facilities, elevator, handicapped accessible / handicapped rooms and facilities, vending machines and ice, smoking rooms / facilities. The Claremont is a non-gaming hotel, committed to giving you the rest and relaxation you deserve. When you want a break from gaming and shows, try catching the sun on the deck or taking a splash in the outdoor pool. Golfing and other recreation activities are also available nearby, if you like to keep up with your fitness. 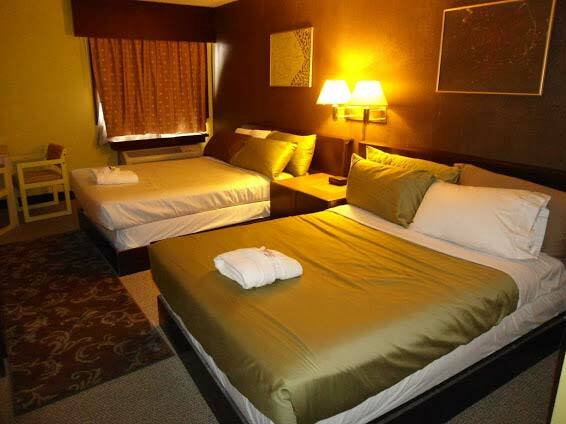 For guests who wish to explore the area, visits to the Hoover Dam, Red Rock Canyon , Mt. Charleston or the Lake Mead Recreation Center are attractive options. The Claremont provides a free continental breakfast, another touch of friendly service. The hotel also has a bar, and a fine restaurant where you can enjoy good cuisine and unwind, after the thrills of Vegas. You can also take advantage of the variety of restaurants nearby to satisfy your tastes for a diverse culinary experience. 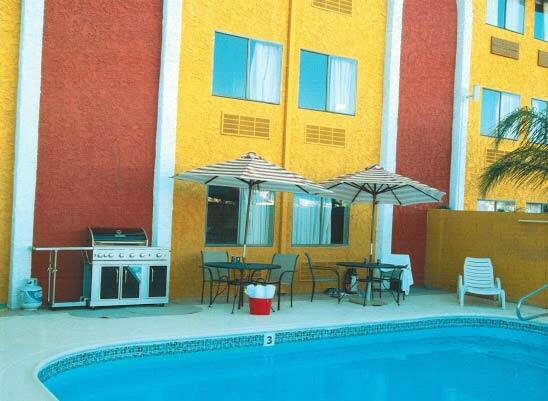 Accommodations in Las Vegas, Nevada never had it this good, sensible, and affordable. 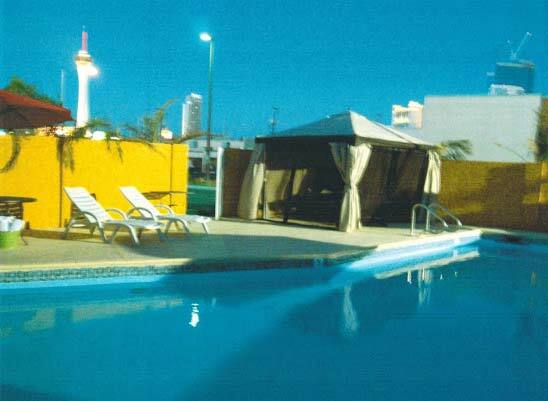 Inside their air-conditioned rooms, we have a private toilet and shower with bathtub and hair dryer so you can come out clean and ready for a night at the strip. Before going out, check out the latest news and shows worldwide with their plasma cable TV and Internet connection. And while you’re up and about basking in Las Vegas’ famous night spots, let go of your worries as your valuables are secured in the safe. 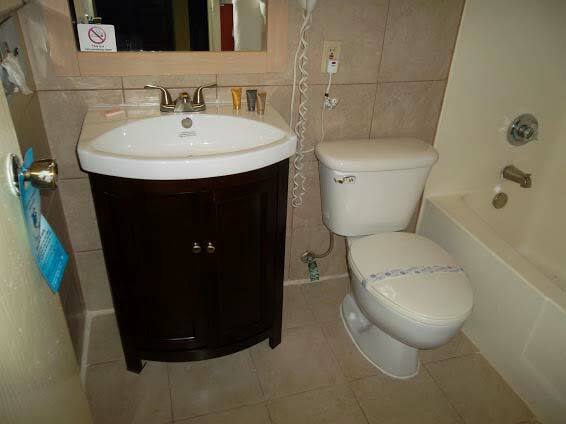 The rooms also have a telephone, radio, and come with a complimentary breakfast. And to keep your clothes crisp and pressed neatly, an iron and ironing board is made available in their accommodation in Las Vegas, Nevada.